Steve James-Royle is Co-Founder of The Yard Creative (TYC). A leading UK strategic retail design studio based in South London, TYC work with challenger brands who want to change a sector or create something remarkable. That means he is always looking for innovation that truly changes aspects of our day-to-day lives and that gives us stories to tell. 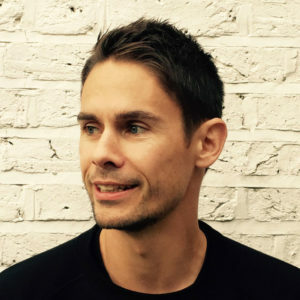 His background in retail design has seen him work with the likes of Westfield, Hammerson, BP, TfL, JD, Harrods, Eurostar, Models Own and most recently World Vision, with the creation of The Story Shop. Today, Steve works with business leaders to help shape strategic direction and drive success through evidential design and research.